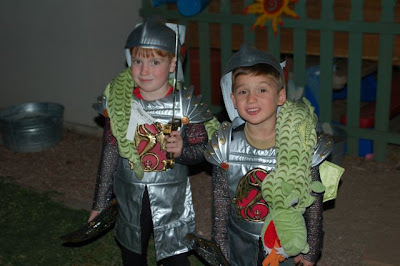 This picture is of my 2 little knights -- they're dressed as St. George, who slayed dragons. This shot was from 2006, and they were adorable. They wore these costumes until they literally wore them out in the next couple years!